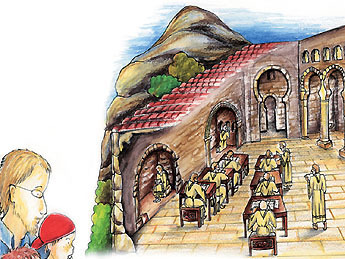 An attractive, illustrated children's book giving information on the origin of the first words written in Romance and Basque in the Monastery of San Millán de Suso (La Rioja). Two children and their teacher visit the Monastery of San Millán de Suso, declared Heritage of Humanity. 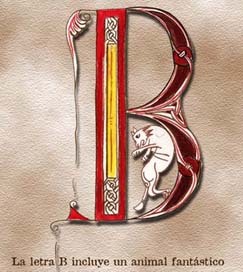 They discover the place where the first words were written in ancient Castilian Spanish (Romance) and Basque. 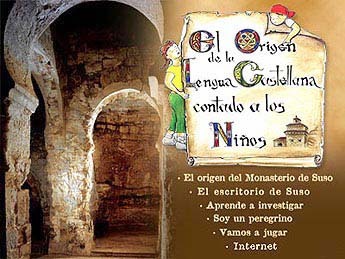 A detailed guide takes you through the concepts in an appropriate manner for children: the monastery, the Romance language, glosses, parchment, the Codex, the first "linguistic researchers" in Spanish. 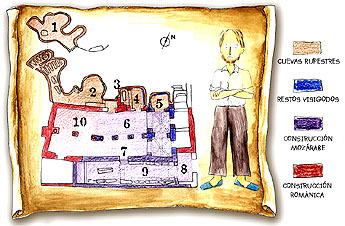 Discovering the origins of written Spanish. The script and calligraphy of the past. Knowledge about natural, social, and cultural environments.